Our neighbor brought a couple of her horses over to help keep our pasture mowed, and one of them is the cutest little yearling colt. He hasn’t been around goats or chickens before, and is doing really well so far. He really wants to play with them, and they are having none of that, so I figured I’d put a toy out for him to help keep him busy. 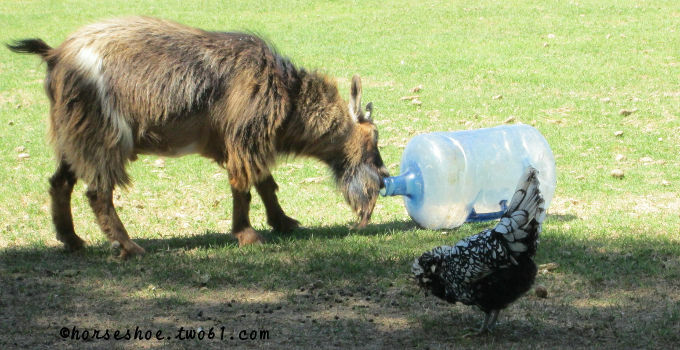 I poured some chicken scratch into a 5-gallon water bottle and tossed it out in the pasture. Well, the horses nudged at it for awhile and gave up, but the goats think this is the best thing in the world. They’ve been rolling it around, jumping on it, and head-butting it all day, trying to get the grains to fall out. 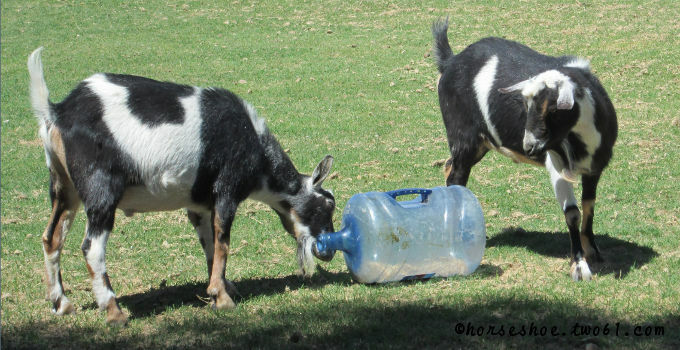 If you’re looking for a cheap and easy toy for your goats, give it a try! 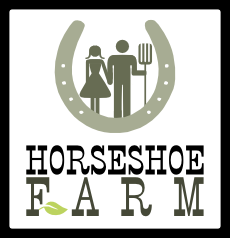 This would be especially nice for keeping goats that are confined to a stall busy and challenged.